Hooray for all things cute and easy to make! Don’t you just love a good craft during the cooler holiday months? Something that you can give away or make with your kids, grandkids, or students is even better! 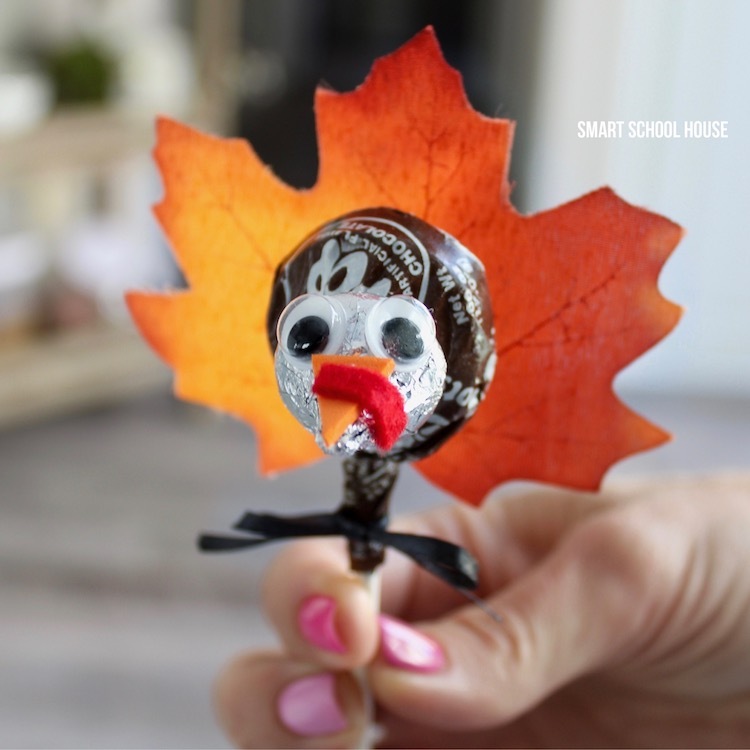 Tootsie Pop Turkeys are so easy to make and definitely put a smile on everyone’s face. We can’t wait to show you! 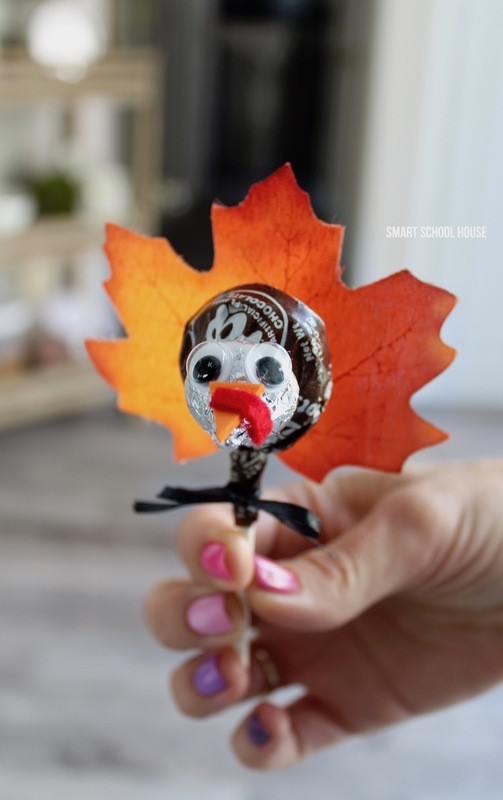 Watch how fun Tootsie Pop Turkeys are to make! Follow me here on Facebook so you never miss any of our DIY craft ideas. Isn’t that fun and easy? Hand them out as gifts to friends, add them to a Thanksgiving table or place setting, make them in a classroom, or pass them out to neighbors. Everyone will love them! Remove the extra “kisses” paper from the outside of the Hershey’s Kiss. Cut out a small triangle from the orange craft foam. Glue the triangle onto the pointed end of the Hershey’s Kiss. Cut out a thin line of red craft foam. Glue the thin red piece over the top of the turkey’s orange beak so it hangs down on one side (as pictured). I glued both ends of the red felt down. Glue two eyes to the Hershey’s Kills just above the beak. Glue the Hershey’s kiss to a Tootsie Pop. Glue the Tootsie Pop to a silk (or faux) fall leaf! Tie a little black bow around the neck. Wow! This definitely fun and easy to do. Will be a great addition to the family dinner. Thank you for sharing. I love your crafts. They easy and simple to make.